Wearing a suit and tie was never my thing. In fact, I can remember being in my late teens and swearing that I would wear nothing but jeans in my professional life (my personal rage against the corporate machine). Some dreams die-hard. While I succumbed to the standard business attire for a while (I’m back to jeans now), it wasn’t until reading Richard Florida‘s 2004 best-selling business book, The Rise Of The Creative Class, when the concept struck me: a professional has little to with a university designation or cut of cloth one wears. A true professional is someone who shows up to the job everyday and turns it into the work that they were meant to do. A true professional thinks not about being another cog in the business machine, but focuses on delivering solutions and ideas that add true value to the company and the industry that it serves. Being a professional was much more about combining the notions of a hard work ethic with a spirit of creativity. This spirit was no longer just for creative vocations either. It wasn’t about artists, authors and musicians anymore. Engineers, architects, scientists, lawyers and bankers have been morphing and evolving (as Florida theorized) to a place where the companies that prosper the most are the ones that engender the highest levels of creativity. We would not have Google, Facebook or Twitter were this evolution not a current reality. The problem in matching the creative class with the working class is that creativity doesn’t keep office hours. Ideas can strike at any moment (and they often do at the most inopportune times). Over the past decade, these forces have begun to collide with business in ways in which we could have never imagined. A year before The Rise Of The Creative Class was published, Steven Pressfield released, The War Of Art – one of the most powerful books for creative types in need of breaking through the moments of doubt, blockage and procrastination. Pressfield introduced the concept of the “Resistance” (with a capital “R”). The famed author of The Legend Of Bagger Vance, many other best-selling pieces of fiction and screenplay writer for Above The Law, Freejack and others recognized that “it’s not the writing part that’s hard. What’s hard is sitting down to write. What keeps us from sitting down is Resistance,” as he described in The War Of Art. 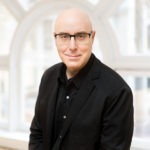 Last week, Pressfield released his latest non-fiction book, Do The Work!, which is the second release on Seth Godin‘s new book publishing imprint, The Domino Project (powered by Amazon). The book (clocking it at under one hundred pages) reads more like a manifesto than a piece of non-fiction. In Do The Work!, Pressfield continues to chop away at the “Resistance” and weaves one of the best business books I’ve read in a long while. This book will leave you – and your business – with no other choice but to get down to doing the work! (as the title implies). Before thinking that Pressfield is nothing more than a hippie in artist’s clothing, the former Marine (who has also written five historical novels about warfare) simply applies the warrior code he learned from his early days of boot camp indoctrination to the work that he was meant to do. In the end, Pressfield is quick to identify that it’s not really a creative exercise to get the important work done, but a blue-collar work ethic of showing up everyday and punching the clock – no matter what – that makes great stuff happen. The irony is not lost on him. So, what are you waiting for? Get to it (read the book and start doing the work!). Montreal Gazette – A blue-collar work ethic makes great stuff happen. Vancouver Sun – Book leaves no choice but to get down to Do The Work! Bonus: my entire audio conversation with Steven Pressfield will be published this coming Sunday (May 1st, 2011) as episode #251 of Six Pixels of Separation – The Twist Image Podcast. Make sure to download it and listen to it then. I will add this book to my TO READ list. My best business book read in a long time: Delivering Happiness by Tony Hsey (CEO of Zappos.com) I read the 250 pages in 24 hours last weekend. A MUST READ for any entrepreneur who’s already a Seth Godin’s fan…. Encouragement to “Do the work” will never go out of style. Pressfield puts into words what we all feel as individuals trying to create and that is why what he writes is timeless. Mitch, you are a great writer and thinker. Thank you for doing the work. I”m off to do my own now…inspired by the likes of you, Pressfield and Godin. Tony and I share the same publisher. I was fortunate enough to read an advance copy of Delivering Happiness. I loved it to pieces! I told Steve in our interview that I still face the Resistance… and the worst part is knowing it – LOL. I ‘bought’ a free copy of this book and I agree, it is fabulous. As I recently mentioned to a friend; many of the best books are an easy read. This book, Rework, Delivering Happiness, and any of Seth’s recent books come to mind as examples. Easy to read but they make me think, and they help me do things differently. The misnomer is that many people think that business books are long and boring. Those days are long gone (thankfully). The black heart of the Resistance is that it so much of it is anchored in our better nature – mercy, self-care, the sense of perspective that says we are not machines and work isn’t everything. And that our better nature – right though it is – is sabotaging and paralyzing us, and in a way that only our worse nature can effectively overcome. We NEED to become machines before we become creative, and we need to open up to a certain, finely targeted callousness and cruelty to stay at it. For a time, work must be everything – you can allow no mercy, and can maintain only a physical level of self-care, never salving the anxiety or doubt. Like boot camp subjects, we must cultivate the art of living on the edge of burnout without the option of burning out – then stop in a disciplined way when the maximum has been done. And then willingly submit again, and so on, and so on.